Is tension holding you back? 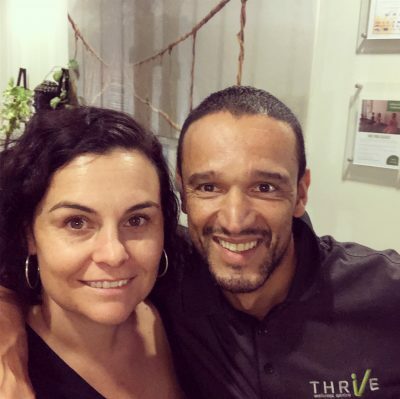 At Thrive Wellness Centre WA we are committed to helping our clients achieve great health and lifelong wellness through a range of therapies including Physiotherapy, Chiropractic, Occupational Therapy, Acupuncture, Naturopathy, Reflexology, Remedial Massage, Yoga, Exercise Physiology and Hyperbaric Oxygen Therapy. Whether it’s persistent pain getting you down or you’re in need of relaxation, Thrive Wellness Centre can get you back on track. We have brought together a team of health and wellness practitioners who take a genuine personal interest for each and every person in their care. Our practitioners work as a team to deliver a unified and integrated treatment plan to boost your health, wellness and vitality. Our integrated health care centre is centrally located in Ascot, in the City of Belmont, just minutes from Perth City, making it easily accessible and convenient for all your health needs. Bryan and Kristina Carver- Thrive is proudly family owned and operated and Bryan has been in practice in the Belmont area for over 26 years.